Who said the Harry Potter craze was just for children? You may not want to dress up as your favorite Hogwarts character or eat a vomit flavored jelly bean, but you can still celebrate the literary masterpiece with these Harry Potter-inspired cocktails. Each one will have you spell bound and wishing for just one more book. 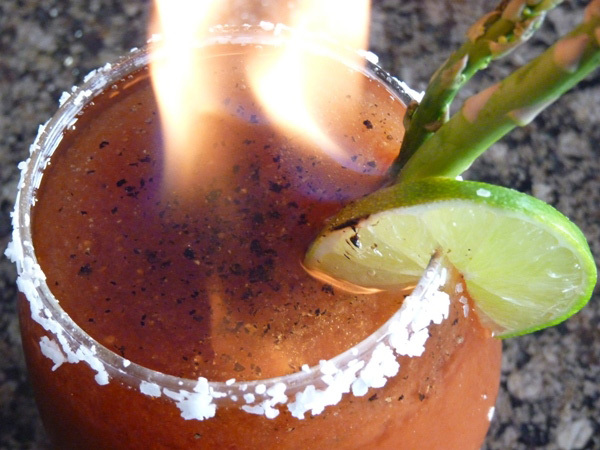 With this fiery beverage comes great responsibility. Only it will know if you are prepared for the ultimate battle of wizardry. This spicy cocktail isn’t for the faint of heart, only try it if you dare. Fill a glass with ice and add the ingredients to the cup. Garnish with lime and an asparagus spear. Drizzle with a high proof alcohol and light on fire. Don’t attempt to drink your fiery drink until the flames have burnt out or you’ll be expelled from Hogwarts. This ghostly cocktail may seem sweet at first sight, but don’t let it’s invisible exterior fool you. The fizzy flavor will sneak up on you when you least expect it. The good news is you don’t have to hang out in the ladies’ bathroom to find this martini and you won’t want to avoid it either. Pour a small amount of grape juice onto a plate and a small amount of purple sugar on a different plate. Dip the rim of the glass in the juice and then in the sugar until the rim is coated. Add vodka, white grape juice, and ice to a martini shaker and shake until chilled. 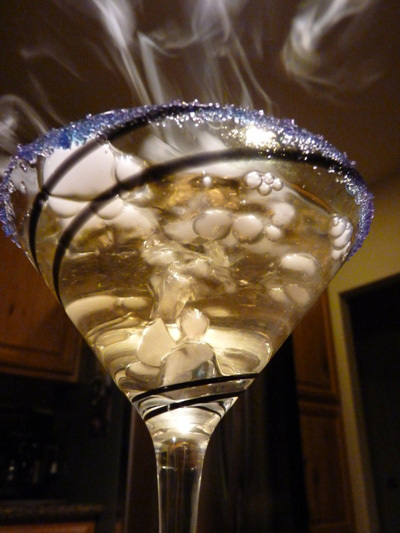 Pour into the martini glass and add the chilled champagne. For a ghostly effect add a small piece of dry ice. Celebrate the Harry Potter way with this adult version of one of the Hogwarts clan’s favorite beverages. If this can quench the thirst of wizards, there is no doubt you’ll love it too. Melt a small piece of butter on a plate and pour some sugar on a separate plate. Dip the rim of your glass in the butter and then the sugar to coat the rim. Pour vodka, butterscotch schnapps, cream soda and half and half into a martini shaker filled with ice. Shake lightly until combined and chilled. Pour the mixture into the glass and serve. Have your wands ready and start practicing your patronus spell! 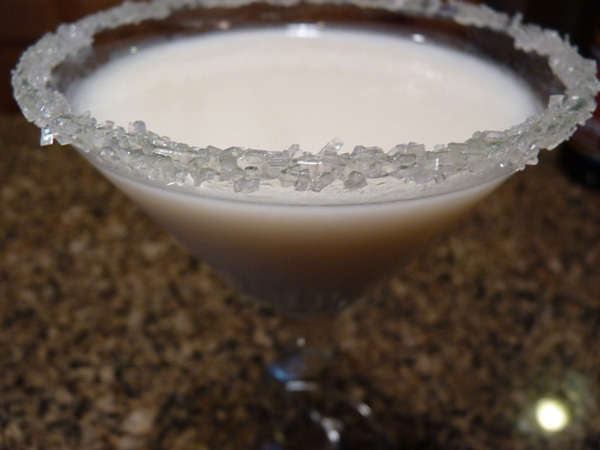 This creamy delight is evilly delicious and it will steal your soul with just one sip. Pour a small amount of half and half onto a plate and some cinnamon on a different plate. Dip the rim of your glass in the half and half and then in the cinnamon. 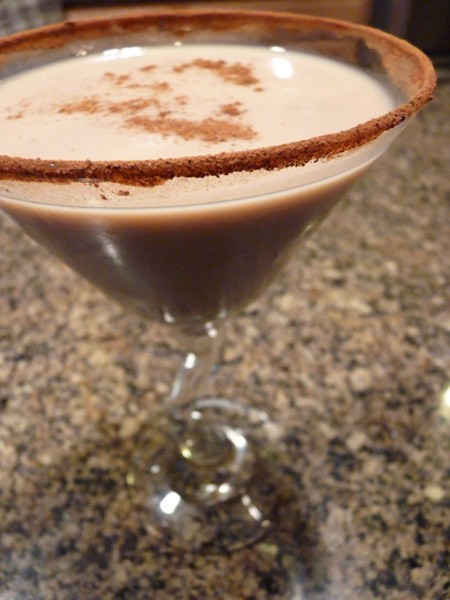 Mix the crème de cocoa, vodka, coffee liqueur, and half and half into a martini shaker filled with ice. Shake until it is combined and chilled. Pour into the cinnamon rimmed glass and serve. Sip this if you dare but whatever you do, do not mention its name or you’ll bring evil upon us all. You should avoid this mojito if you have a lightning bolt-shaped scar on your forehead. Add rum, lemon juice, honey and fresh basil to a glass. Muddle the mixture with a pestle or spoon in order to crush the basil and blend the flavors together. 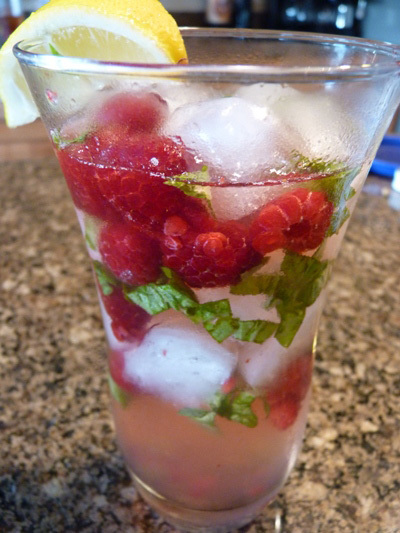 Add ice, a small handful of frozen raspberries and fill the glass with soda water. Stir the mixture and serve.